Are you among those people who give a tinny rat a** about online security? Or do you think that you have nothing to lose or hide on the Internet? If ‘YES’ then you should think again, and again. Why? Because you’re far from the reality that everything is safe online. The truth is; your privacy is always at risk when you’re online, and you need to be worried about it. Using Antivirus is a good initiative, but the layer of protection is only limited to certain levels. To be able to get maximum protection, buying a VPN service is your way to go harmless online. You Are Fool If You Are Not Using A VPN! Don’t take it personally, but it is a fact. Not using a VPN while browsing on the Internet is like taking a bath in a glass house with an open invitation for everyone to watch. Would you like it? Absolutely not. So, why inviting government agencies, advertisers, hackers, spammers and eavesdroppers to look at everything you do online. Your privacy shouldn’t be compromised at all; we’ll explain you how to buy a VPN account to secure your digital footfalls. 3. Is protocol and encryption a critical factor for a VPN? 13. Is VPN You’re Buying Unblock Netflix USA And Hulu From Anywhere? 14. Is VPN You’re Buying Works in China? We are living in times, where everything is taken over by Technology. Your morning starts with the alarm on your phone; the first thing you look at in the morning is your mobile screen; the first thing you hit before going to shower is your coffee machine; Everything is interconnected and thanks to IoT, everything is now interlinked. Your mobile phone can control all your home appliances. Seems like a game of simple clicks, but it is not as simple as it looks. With every blessing comes a curse. Not talking about the curse of Werewolf or Witches; it is about the curse of being hacked or robbed online. Since one phone can control your home lock, your coffee machine, your refrigerator and even your car makes that phone a time bomb. So you better be careful. If you lost your phone, or someone snatched it, they will not only get hands on your mobile directory and personal pictures, but they have your home keys, your car control and god knows how wrongly will they use it against you. Ultimately, we have reached a point where you have to think about your online privacy actively. Being part of the internet security industry, we are aware of multiple methods to protect yourself online. One of the best ones being quitting the internet altogether and we are not kidding. However, that’s not possible, quitting is never an option. The second safest option to avoid such threats online is buying a VPN. VPN do a lot more than we think it does. A VPN makes you anonymous and invisible online. It makes you hide your IP behind closed doors, and it also helps you unblock websites. So even if someone is tracking you or trying to hack your personal information, they couldn’t find you online. VPNs provide the perfect safety net required by the online world right now. Before buying a VPN, you should at least know what a VPN is? A VPN or Virtual Protocol Network is a service that enables you to connect to a VPN server owned by the provider. All your internet activity between this server and your device is encrypted, meaning no one can know about it. It is like you are entering an agreement to be anonymous or invisible online from the prying eyes of the government, corporates, and cybercriminals. 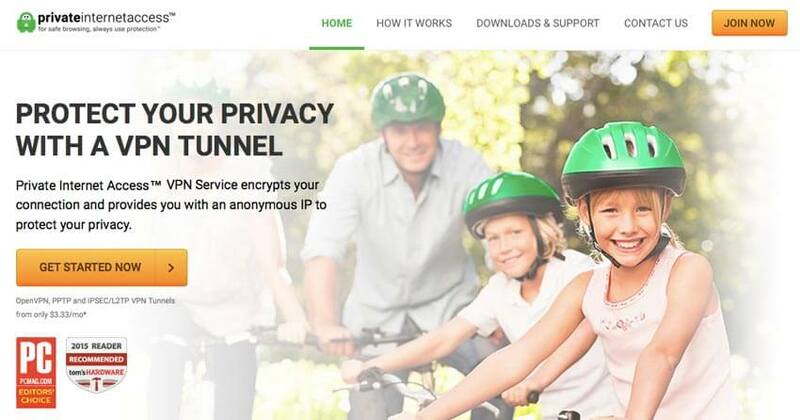 VPN basically creates a tunnel for your activity. In simple words, you remain in a secure bubble no matter what you do. The best part is nobody will be able to locate or identify you. So you are protected from hackers, governments, and your ISPs. 36 % increase in Ransomware attacks in 2017 where the average amount demanded was $1077. 1 in 131 emails is infected with malware. 6.5 % people became the victim of identity fraud and lost $16 billion in 2017. 230,000 new malware are created every single day, and the quantity is only going to increase. Most infected computers are found in China. After Windows, hackers target Android platform the most. 31% people use VPNs to surf the internet anonymously while 30% VPN users want to access better content. 42% VPN users connect to a VPN 4 to 5 times a week. You know Warren Buffett, the billionaire investor, thinks that cyber attacks are the biggest threat to mankind, even bigger than nuclear weapons. After going through the facts mentioned above, we kind of agree with Warren Buffett. The online world is becoming more and more vulnerable with every ticking second. A VPN has many features, and you need to look into all the nitty-gritty details in order to separate the genuine one from the fakes or imitators. We are going to mention an extensive list of factors that should influence your decision to buy a VPN. However, this list is in no way the end of all. There are still many layers to unpeel before one can truly know the worth of a VPN service provider. However, these factors give you fair enough idea about the VPN services. The number of servers tells you about the magnitude of the company. The more VPN servers a company owns, the stronger support it will be able to give you. The minimum standard is 500+ VPN servers. Any VPN service provider with less than 500 servers is not an ideal choice. However, a new VPN company won’t have many servers initially, so there is no harm in putting a bet on it, provided the service is exceptional. You will be able to find VPN services with even 2000+ VPN servers. However, 500 is a good enough number to keep in mind, but it is not the ultimate decision maker. Just like the number of servers tells you something about a VPN, the location of the VPN servers is essential too. A VPN company with a wide net of VPN server spread across the world is ideal. It should be covering all the continents. The VPN servers in USA and UK are important because people are connecting to these countries to access better entertainment content. The countries like China and Russia are tricky as the government laws and regulations are brutal. So stealthy servers in those sensitive locations are always plus. The best way is to know the countries where you will be connecting to and see if the VPN has servers in those locations or not. Now it is time for checking the technical aspects of a VPN. In case, you have no idea about the protocols and encryption method, simply check if your VPN provides PPTP, OpenVPN, and L2TP/IPsec protocols. As for encryption, the AES 256-bit encryption is a must. Also, most VPN providers have already optimized settings for different devices. For instance, if you install ExpressVPN on your mobile then there is no need to tamper with the settings as they are already set to the most optimized options. However, the customization option should be available to the end user as some tech nerds might want to experiment with different protocols and encryption options. Ease of setup and use is crucial for newbies and techies alike. Your VPN shouldn’t take ages just for installation and configuration. At the same time, connecting to a VPN and selecting servers shouldn’t take more than few seconds. This task of connecting to a VPN before connecting to the internet is extra work as it is, you don’t want unnecessary trouble here. A VPN with few steps to install it and even lesser work to connect it is perfect for any VPN user. Gladly, most VPNs understand user experience and are extremely careful about the setup procedure and usage. Of course, you don’t own only one device. An internet user has access to two or three devices every day. A VPN must be able to protect all of them simultaneously. So a VPN service provider with a maximum number of multi logins is highly appreciated. In case, your VPN connection drops suddenly; you will be exposed immediately online. A kill switch helps to kill the internet connection as soon as something happens to a VPN connection. A kill switch is just a precautionary measure as a VPN connection should not be dropped or canceled for any reason. Split tunneling lets you divide the VPN supply into the number of activities. For instance, if your only purpose of VPN is to watch Netflix US then you can set a VPN for this purpose only while the rest of your online activity will continue without a VPN. This helps in dedicating the VPN for most crucial tasks at hand without distraction from any other source. VPN basically hides you by replacing your IP address with a fake one. Now, most VPNs do that with shared IPs and there is nothing wrong in that. It’s just that we are looking for options for dedicated IPs. Certain tasks require you to have a separate dedicated IP so your VPN should be able to provide that in the hour of need. Pricing is a touchy subject. One thing is for sure that quality of service requires money. At the same time, not every expensive VPN is the best one out there. Your final goal should be to find the balance between the two. The VPN should provide essential features and must not charge a fortune for it. Of course, it is entirely possible. You just need an eye to find one. Usually, a VPN with multiple pricing plans is a good thing. It should also give you options regarding payment. Moreover, VPNs that let you pay anonymously are highly regarded. VPNs are sort of service where refund policies matter. Thankfully, the trend is adopted throughout the industry. Most VPNs offer some kind of refund policies. The best ones let you try their service for free with certain limitations on the data usage. Many VPNs offer 30 days money back guarantee that can be claimed without giving any reasons. 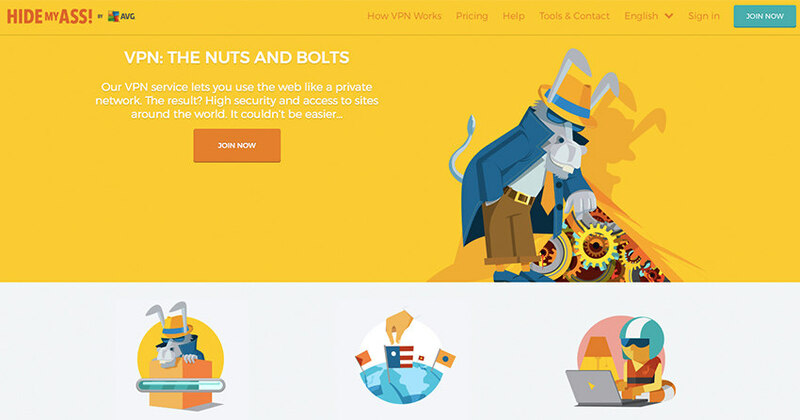 Even the most miser VPN companies offer at least seven days money back guarantee. 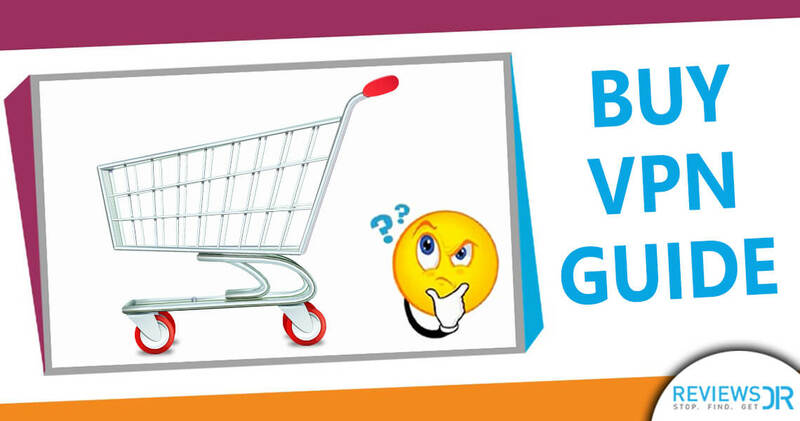 We are sure you will find a good refund policy with most VPN providers. However, if a VPN has no refund policy, it is not worth your time or money. This is one of the most important factors and cannot be ignored. The actual location of the VPN is fundamental. There are many countries with strict internet laws and regulations. Also, a lot of countries have almost none legal bounding when it comes to the internet. Of course, a VPN should be headquartered in a place with practically no laws or official involvement. A VPN that’s based in the US is of no use because the laws require the company to keep the user data for some time. The companies are required to share the user information upon request. So as a potential VPN buyer, you must know the country of operation of your VPN provider, and it shouldn’t have any data retention policies. Good VPNs or the kind of VPNs you should buy are highly compatible. They can work on your smartwatch, smart TV, smartphone, router or any possible device you own. The formula is to find a VPN with maximum compatibility because you never know when you will buy a device that might need a VPN. The compatibility information is usually displayed visibly on VPNs’ websites so you can easily check it. In case, you own a fancy device and wants to know if a certain VPN is compatible with it or not, you can simply send them a query, and they will get back to you as soon as possible. The VPN must support P2P (peer-to-peer) sharing. In simple words, this means that a VPN has no problem with torrenting. In fact, it encourages torrent actively. Many people opt for a VPN to torrent content easily. Torrent is such an issue because it is banned in many countries. There are only a few places where you can torrent, and it won’t be a crime. A VPN lets you connect to a VPN server in a country where torrent is allowed. So you are not committing a crime if you are connected to a VPN server in a country with torrent friendly policy. P2P support is a very vital feature provided by most VPNs, but you still need to check before buying. Customer support can never be ignored because if you are in any trouble or having any issue, then only customer support can help you out. The first thing to note about the customer support is that they should be using various mediums like phone, email, live chat, etc. This ensures the users that they are serious about providing help and immediate rescue. Two factors define the quality customer support. The first is they should be prompt and the second is they should be informative and provide problem-solving solutions. Of course, you cannot know this kind of information just from the website. However, you can test them by sending a random query and seeing how they respond. As mentioned earlier, 30% VPN users use VPNs to access better content. Netflix and Hulu are the better content that people want to access. However, Netflix and Hulu are actively involved in blocking VPN users. They have devised their monitoring tools to stop VPN users from accessing their website illegally. Unfortunately, they can prevent most of the VPNs from accessing their website in geo-restricted areas. Only a few VPNs work with Hulu and Netflix. Now, it is your job to find out the VPNs that can dodge Netflix and Hulu anywhere. Most VPNs explain what they are doing for such special cases on their website. You just have to locate the relevant info. If there is any country with worst online policies and regulations, that has to be China. The country is so controlling and invasive that you cannot even imagine. For a VPN to work smoothly in China is the ultimate test. Mind you; many service providers fail in the Chinese territory because of the extreme rules implemented by the authorities. The hype around China is so much that VPNs have dedicated separate resources to work in the cursed country. Not many VPNs can provide services in China. Also, very few VPN service providers have servers in China. If a VPN is successful in conquering the dilemma of China, it is considered to have superlative powers. So if you have anything to do with Chinese content or the country, make sure your selected VPN actually works there. We have given you a long list of factors to assess before finalizing the VPN. However, we do understand if you feel overwhelmed after going through the list. In fact, we will ask you to calm down and take a deep breath. There is no need to panic. You can still get the hang of the best VPN without going through this tremendously tough ordeal of judging a VPN. ExpressVPN is one of the most reliable VPN service prevailing in the market. With its incredibly amazing and diversified VPN network in 94 countries, it is the only VPN provider that offers high-speed streaming of Netflix USA content from any region of the world. 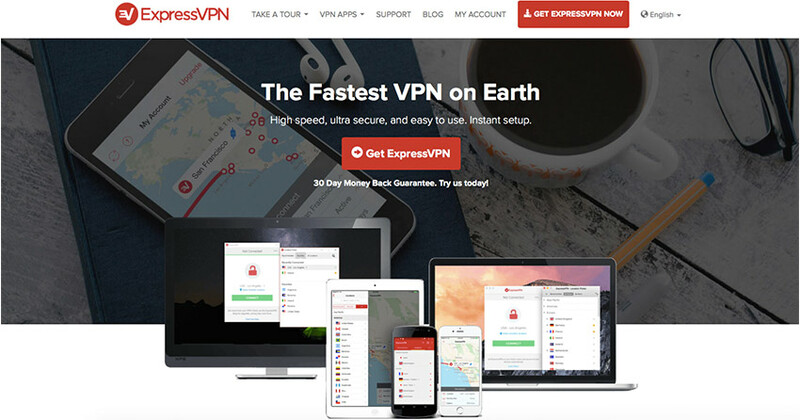 Read our review of ExpressVPN to learn more about how good the VPN is. HMA has one of the biggest VPN network in the world with 720+ servers in 190+ countries. It offers relatively good speed with complete support to a vast variety of devices. Many VPN fails to provide support for USA Netflix, HMA works fine for unblocking Netflix USA. When it comes to PIA, the old saying ‘You get what you pay for’ couldn’t be more true. 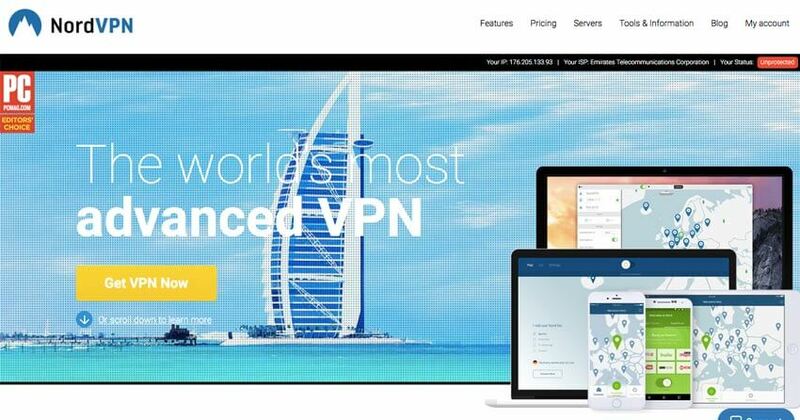 PIA offers one of the cheapest VPN for premium services if you buy the yearly plan. PIA can do better in customer support which makes it lose the first and second spot in our rankings. 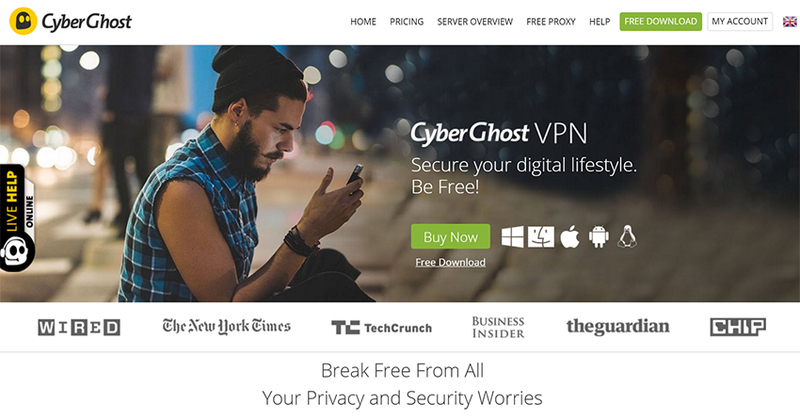 Cyberghost claims to offer service in China and also unblocking websites like Netflix and BBC iPlayer. It is among one of the best VPN services when it comes to diversified VPN network. NordVPN is among those VPN providers who offer feature-packed services. You can find most technical features with every package plan including six simultaneous logins. Nord VPN only lacks in Windows VPN App which still needs improvements. Read our NordVPN review to learn more the service. We have established two simple facts until this point. One, the internet is no more a safe place, and second, you got to buy VPN in order to navigate through this unsafe virtual place. There is nothing more that we can add here. The trust is always short and straight. We considered it our responsibility to reveal the ugly truth to our readers. We find our hands tied as we cannot possibly go to every internet user and install a VPN on his/her devices. Believe us, the kind of news and information we receive daily saddens us to no extent. Our only hope of joy is the fact that VPNs exist during this time of online chaos and disorder. Do you think VPNs can protect your online privacy? Please share your views with us in the comments section below.